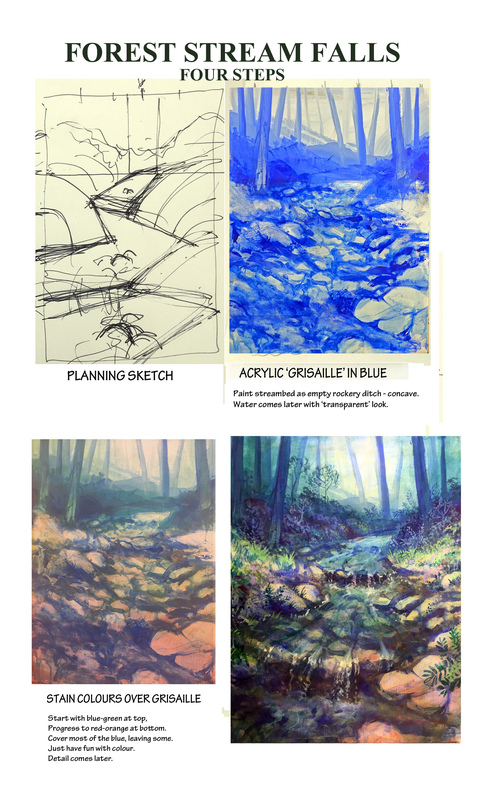 I have painted streams in watercolor and acrylic a number of times. These are demos and, as such, kinda quick and dirty (or so I tell myself 🙂 But the principles are interesting: the stream makes the terrain, which in turn makes the stream, etc. – a yin-yang. Reflective water needs 1-the ‘right-side-up world’; 2-the upside-down world; 3-edges of the reflective plane/streambed; 4-water surface (flow-lines); 5-transparent look-thru’s (stones under the water). 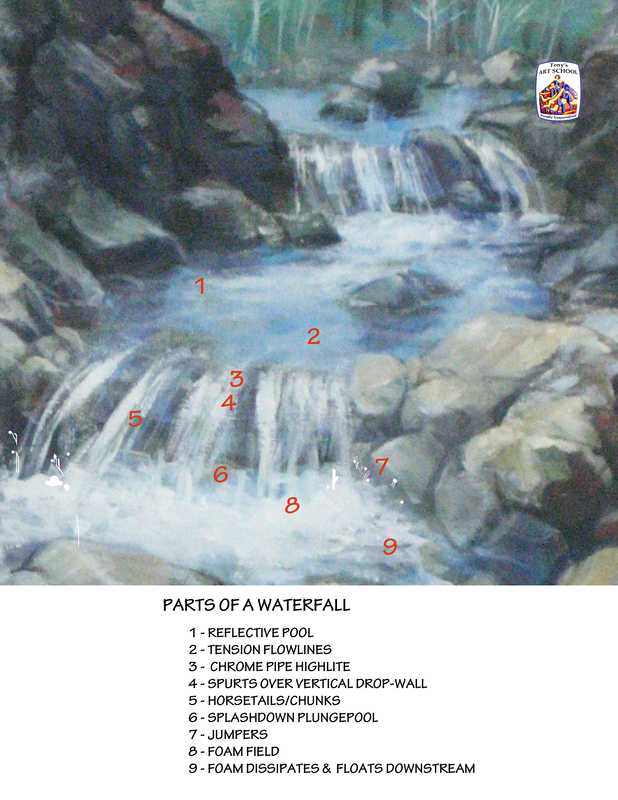 Waterfalls also have a ‘narrative of their own – see the image below the video preview for this in detail.